The travel agency Kolumbs is a company for impressions, memories and freedom that gives you the joy of life and travels! Kolumbs works on Latvian tourism market since 1997. In 2001 the company established corporate clients department that organises business trips. The company serves private customers providing them leisure travels. Two leisure departments are opened for convenience of the customers – holiday offices in the shopping park Alfa and in the shopping centre Spice. In 2005 Kolumbs was the first Latvian travel agency that started offering on-line booking of flight tickets. Currently Letasaviobiletes.lv is one of the most popular websites among Latvian travel agencies where flights can be purchased on-line. Since 2010 Kolumbs is the owner of the website Pedejaisbridis.lv that provides regular update of information about the latest last minute travels. 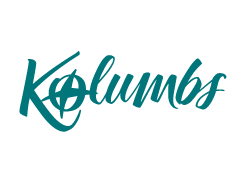 Kolumbs offers charter flights, flight tickets, hotels, short city break trips, SPA relaxation, bus tours, bus and train tickets, travel insurance and different gift certificates. Kolumbs is a member of Association of Latvian Travel Agents (ALTA) and The International Air Transport Association (IATA), and the company is registered in the Database of Tourism Agents and Tourism Operators of the Ministry of Economics (TATO) and has the financial guarantees of customers' money.